Ok, I’m pretty excited about this one. It’s taken way longer than I’d ever anticipated, but the fourth book in the Meta series will finally be out on March 26th and you can pre-order it today! 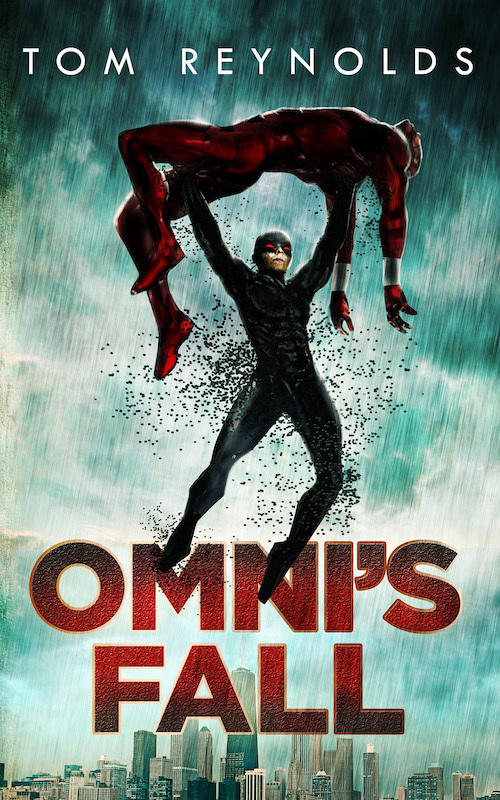 Omni’s Fall will be out in eBook on March 26th for just $4.99. Pre-order today on Amazon and you’ll get it right at the stroke of midnight on March 26th. This is a really fun one. I can’t wait for you all to read it and thanks so much for sticking with me. With the entire world against him, can Omni fight back or will he fall? Connor Connolly’s gambit to defeat Alpha Team worked, but not without significant cost. Those who helped him now find themselves without powers and Bay View City is worse off than ever. Midnight stopped answering his calls and no one has seen Iris in weeks. Connor’s metabands may also finally be damaged beyond repair. Even an attempt to stop a nuclear meltdown blows up in his face and turns many throughout the world against him. Meanwhile, life back at the academy isn’t going much better. Now that Sarah knows the full truth about Omni she feels betrayed. She’s spending time with a mysterious student who has ties to Kaldonia, the hermit kingdom that’s banned all metahumans. With the training facility on its last legs, Michelle gives Connor an ultimatum: stop using your metabands or leave the academy. But when he tags along on a surprise field trip to Kaldonia he discovers a secret technology that could impact metahumans worldwide forever. Will these revelations help Connor, or ultimately destroy him? Pre-order Omni's Fall on Amazon Kindle Today!